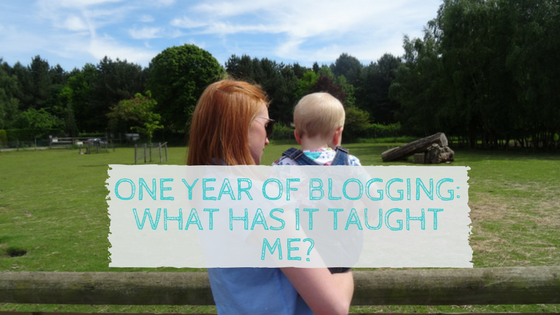 One Year of Blogging: What has it taught me? So this weekend it came up on my page that my blog was one year old. I couldn’t believe it! A whole year of ‘Mummy Miller’, sharing our story and my thoughts and feelings. I set my blog up to share the big and everyday moments in my parenting journey and Oliver’s life. I think my main motivation was to document things for me, so I didn’t forget. My memory is awful and even more so since Oliver came along! But it was also for our family who don’t live nearby to see what Oliver’s been getting up to. But I think over the past year it’s become much more. My blog is one of my biggest passions, and probably my favourite hobby now! I can easily spend a few hours in the evening writing posts, participating in linky’s and reading other peoples new posts. Instagram is one of my favourite platforms and I could easily spend hours getting lost in it. Now with the addition of Youtube I have added the realm of video editing as well! This world of blogging and vlogging has really sucked me in! What have I learnt from a year of blogging? You can’t just set up a blog and expect it to be read by the masses straight away. You have to share, share share. I didn’t do anything for the first month or two whilst I navigated the blogosphere. Then I started participating in ‘linky’s’ which if you don’t know is a place where bloggers can share their blog posts with other bloggers. It’s a great way to find new bloggers and blogs to read! 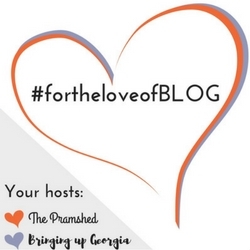 The first linky I shared a post with was the Sharing the Blog Love linky run by Katy and Laura. I was so nervous when I hit the submit button but over the past year I have been one of their featured bloggers several times, which I am so grateful for! You can’t expect to start a blog and for it to have thousands of followers overnight. It has taken me a very long time to build up followers across various social media platforms. I have worked hard at this (probably not as much on Twitter, but certainly across Instagram and Facebook). Followers don’t come easily, you have to post good content, use good hashtags, post at the right times. There’s a lot to work out! It can be easy to earn money with guest posts..
…but do I want to post content on my blog that I’m not interested in or really enthusiastic about? I have had so many emails asking for them to put a guest post on my blog about ‘a related subject to my brand’. Or there are various websites who have contacted me who can feed your blog with guest posts. Of course, I would love to be getting £20-£30 for a post that’s pre written but I don’t want to lower my blogs standards or the brand I am building. To take posts that aren’t about something I’m passionate about or very interested in for a couple of easy pounds isn’t something I want to do. When I get the chance to start earning money from my little blog I want it to be from something I have a real love or passion for. I want to feel that I’m genuine and someone you can trust. Someone who actually would use that product or brand, not just write about it because I’m getting paid to do it! If you’re thinking about it, just do it! It took so long to work up the courage to start my blog. I thought about it for so long. In some ways I wish I had pursued the blog that I started when I was pregnant. Writing this blog is one of my favourite things to do, I’m just gladded I finally plucked up the courage! This year one of my goals was to proceed with my Youtube channel, I had started it back in September but chickened out after one video! Now I really enjoy shooting a video and sharing it with you! 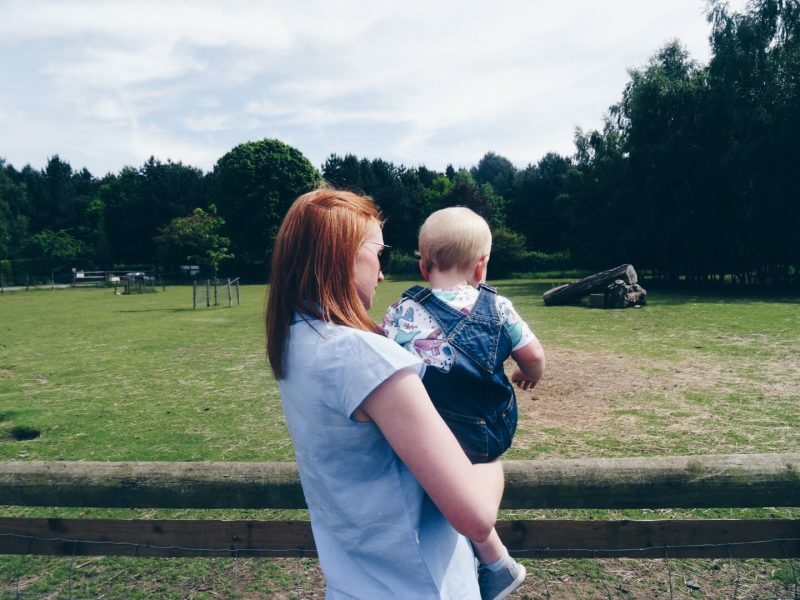 I wrote a post recently which was picked up and shared by Mumsnet. I got a lot of negative comments on their page as well as on here. There were some positive comments too, but those mumsnetters can be pretty nasty! I didn’t let them get to me, everyone is entitled to their own opinions and that’s fine. This is my little corner of the cyber world and it’s a space I feel I can voice my thoughts and feelings on certain subjects. People may disagree with you, and it’s easy to get your back up if they don’t, but I love how these sorts of comments can also open your eyes and start a discussion! So thank you to all my readers, subscribers and those who have commented, liked and shared my posts over the past year. Here’s to another year of blogging and sharing our moments with you! I would also love it (if you enjoy reading my blog) that you would nominate me in the Brilliance in Blogging Awards. I would really love to be considered for the Fresh Voice or Reader’s choice category. Click on this link to go and nominate your favourite blogger!